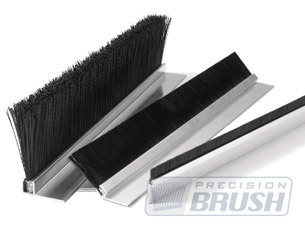 Precision Brush Company offers extruded aluminum brush holders which are designed to fit our straight strip brushes, available in up to 12 ft lengths. Stock holders do not ship with mounting holes, but we are able to provide custom hole punching if required. Aluminum brush holders can be custom anodized to almost any color. Our most popular colors are black, brown or clear. 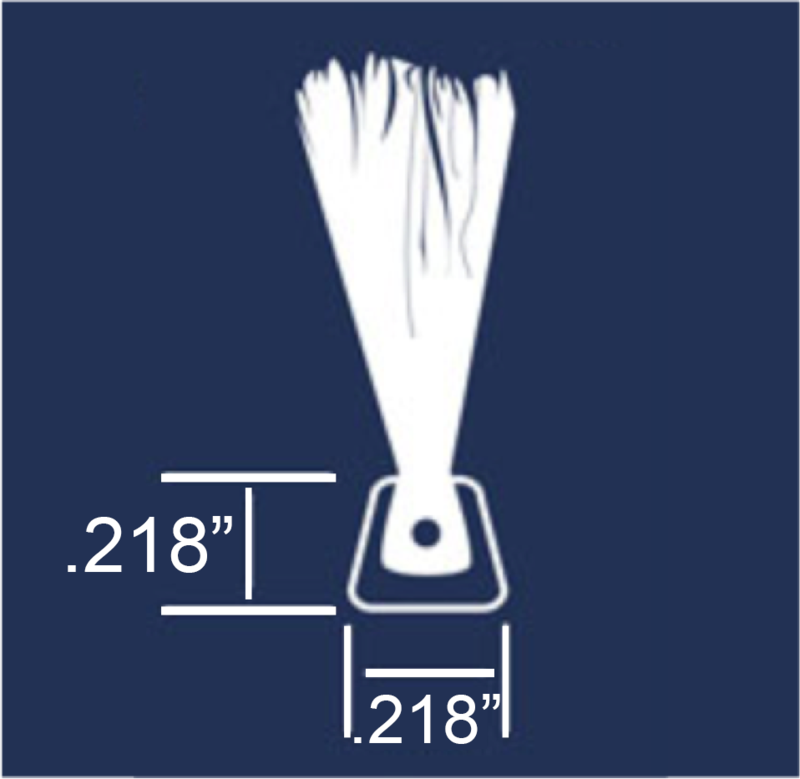 To select the proper holders for the corresponding metal channel brush, please refer to the metal channel size of your brush and match it with the metal channel size shown on the aluminum holder charts. We are able to cut the aluminum holders to match the length of your brush. Please note the longest package that can ship UPS is 108”. If you require longer brushes and holders, we may need to ship your order by truck.